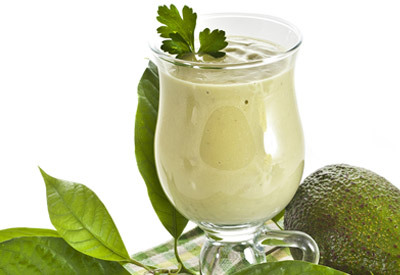 Into a blender container, combine juice, avocado, banana and honey; blend until smooth. Add frozen yogurt and process until smooth and thick. Pour into glasses and serve at once. Garnish with a sprig of flat leaf parsley if desired.